A new report comparing Toronto transit to a number of other North American cities suggests that the city’s transit network is “at risk” due to a lack of subsidies and dedicated revenue sources. The report, authored by transit advocacy group CodeRedTO, compared Toronto’s transit fares, network design, operating budget, and governance structure to seven other cities: Los Angeles, Chicago, Houston, Montreal, Washington DC, Boston and Vancouver. When examining fare structures, the report found that the TTC is the only transit agency of the seven that is required to cover two-thirds of its operating costs from fares. It also noted that the city is the only one with an annual fare pass option, a move which it says “disproportionately benefits” those with higher incomes. “Toronto’s transit network is really underfunded,” Cameron MacLeod of CodeRedTO told CTV News Toronto. 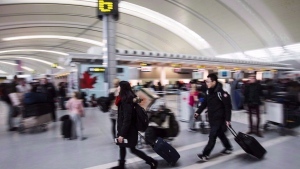 The report states that Toronto lacks predictable revenue and has the lowest overall subsidy, the lowest subsidy per rider, and the lowest overall revenue per rider among the seven cities. “Almost every other city has a dedicated tax providing stable, predictable funding,” the report read. “Downtown core streetcar lines improve the network greatly, but at low resilience due to mixed-traffic street design. When contrasted with every other city in the study, it is clear Toronto’s heavy reliance on two very long rail lines is unusual,” the report said. Comparing governance structures, the report discovered that Toronto’s transit governance differs from other North American cities in a few major ways. “No other comparator city has a board fully appointed by the government with no open screening or approval process. More significantly, the City of Toronto has no representation on the Metrolinx Board whatsoever,” the report stated. The report authors suggested that Toronto needs a better funding model, a “less-politicized, more resilient governance structure,” more complexity in its rapid transit network, and less reliance on tunneled infrastructure. The group also recommended reducing the cost and early commitment requirements for the monthly transit pass. 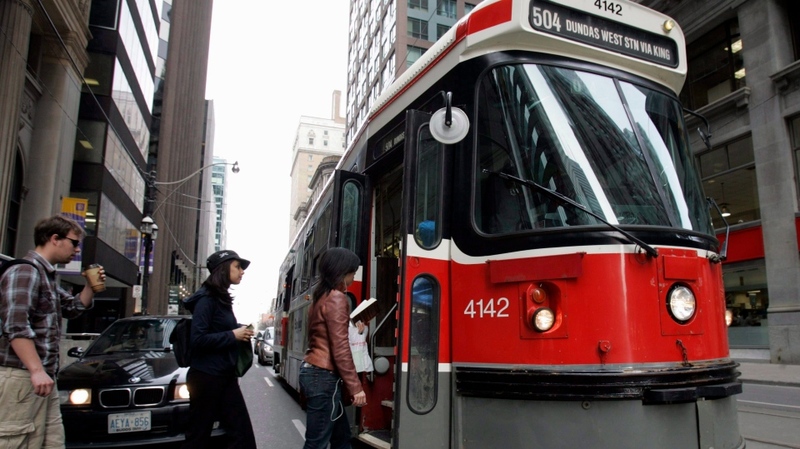 “Toronto and Queen’s Park are proposing change which will not resolve key vulnerabilities in Toronto’s transit: its low level of subsidy and lack of dedicated revenue,” Cameron MacLeod, executive director of CodeRedTO, said in a news release issued Tuesday. Toronto Mayor John Tory said that while he welcomes the new research and criticism, he’s proud of what his administration has done on transit over the years. “I think it’s a constant challenge for us to make sure we have the funding available both to expand the transit system and to operate it in a way that is conducive to it being affordable and convenient and reliable, but I think we’ve been making great strides forward,” Tory said at an unrelated event on Tuesday.